Bed & Breakfast and rooms for rent in Verona Italy holiday accommodation, business meetings and fairs period. If you want to book your stay at Loft Verona, and visit Verona, the city of Romeo and Juliet please fill out the booking request form available on line. Staff will be glad to answer on the availability of rooms. Loft Verona Staff is always available for any request. 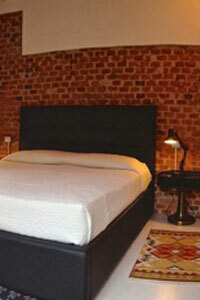 The price of the room includes: daily cleaning, heating, air-conditioning, hairdryer, tourist information, WI-FI. Extra services: babysitting, laundry, ironing. Please, contact us in advance by mail o phone, to arrange the Check-in hours. As already mentioned your little pet friends are also welcome to stay as long as they are small, so please indicate when booking. We will provide bowls and kibbles while the cats will find a litter available. Fill in the form with your data. 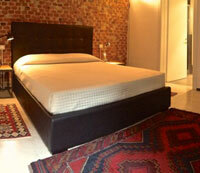 A modern B & B for your stay in Verona. Holidays with your pets? LoftVerona has a Pet-friend feeling. Your little four-legged friends are welcome to Loft Verona Bed and Breakfast.